It’s that time again! What I ate wednesday! As always, I recommend you head on over to PeasAndCrayons for more foodie inspiration. Breakfast: not attractive. 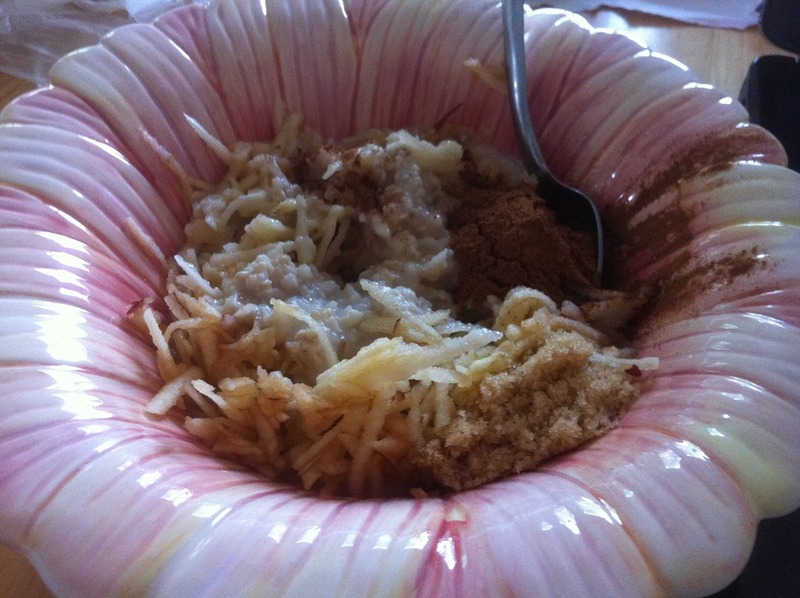 Lately I’ve been loving hot oats, jazzed up with lots of cinnamon, a little bit of brown sugar, and a whole lot of grated apple. It’s a perfect time for me to begin this obsession because my man friend brought home some apples from his parents’ apple tree! 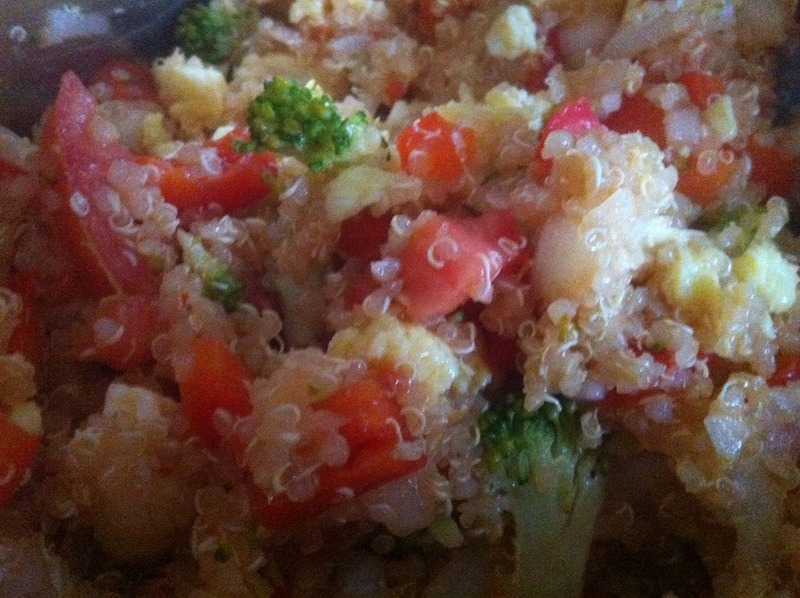 Lunch: I’ve been trying to incorporate some vegetarian meals into my diet, and this was amazing! The only adjustments I made were adding in some broccoli, using 3 whole eggs and 1 egg white, and using hot chili sauce instead of fish sauce. 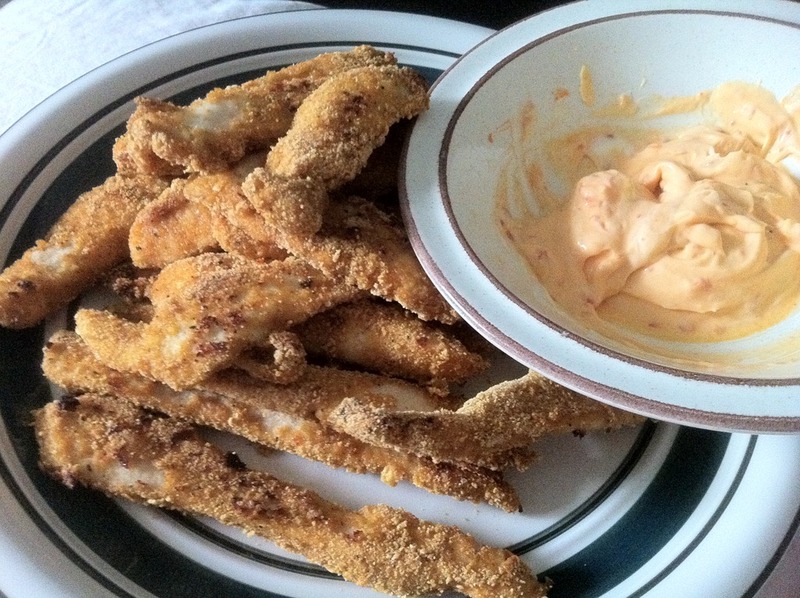 The result was excellent and I highly recommend this recipe. It’s super easy, tasty, and makes for an exciting packed lunch. I snacked on this quite a bit. Hazelnut butter on a spoon. Heavenly. What’s your favourite nut butter? I’ve been dying to try macadamia nut butter but I’ve yet to see it on sale/I’ve stopped looking because it’s too depressing that I can’t afford it. Your breakfast bowl is so cute! I love it! I love cashew butter! 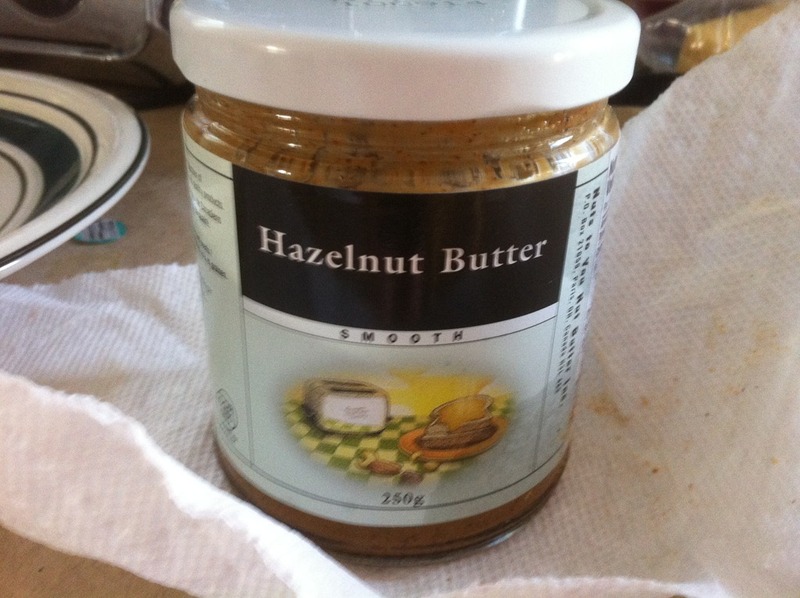 I just made roasted hazelnut and almond butter and that was pretty good too. If it means antthing, I always think your flower bowl rocks/ is attractive! 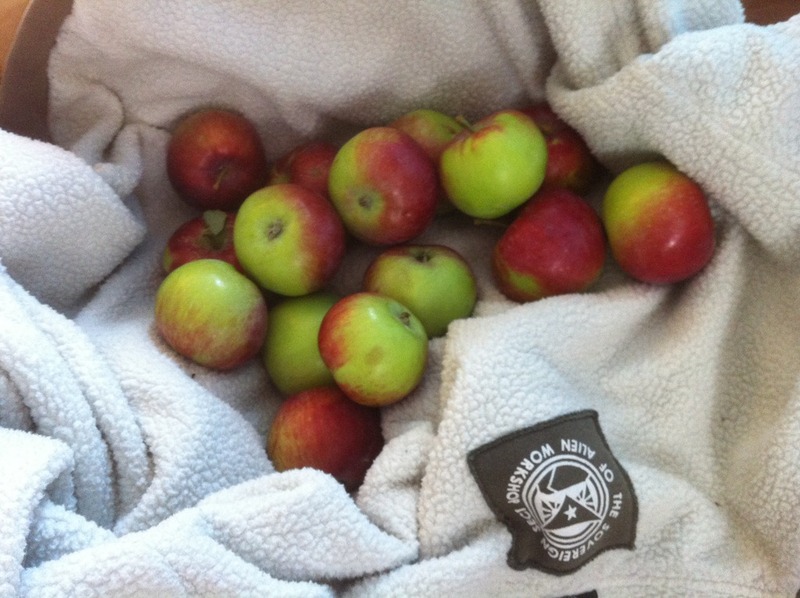 Handpicked apples are the best! can you believe i have not ventured from regular peanut butter? I’ve never tried Macademia butter either! I tried Cashew butter recently but I didn’t really like it. Plain ol pb is my favorite! Mmmm I’m so jealous of your fresh apples! I go through apples like crazy, so it’d be an absolute treat to have an apple tree (or at least know someone who does hehe). Apples + oats were made for each other <3. I absolutely love the bowl your breakfast is in 😀 And I have never tried macadamia butter for the exact same reason. I am absolutely obsessed with sunflower seed butter right now, however. I want to eat it on everything! Jealous that you have apple-tree-access, I love fresh apples! Well, any apples, but especially fresh ones! Nut butter on a spoon is dangerous! The best thing I ate today was a tie between the smoked pork chop I had for supper and the leftover birthday cake I had for dessert…both delicious! Grated apple sounds like the best oatmeal idea ever!! 🙂 Trying it out asap!